With as awful as Cleveland's offense has been all season, one has to wonder - is the stress of being both a coach and offensive coordinator getting to be too much for Pat Shurmur? The week one loss to the Bengals stung, but you expect that mental lapses are going to happen when you’ve got a relatively young and experienced team ,and coaching staff to go with it. That game wasn’t so much frustrating, as it was disappointing. Cleveland just flat-out got taken to the woodshed by the Tennessee Titans. From the team’s inability to move the ball on offense, to their inability to tackle on defense, that loss to the Titans was ugly in every aspect of the game. Watching the Browns lose to the Raiders on Sunday, however, was the most frustrating game, at least to me, I’ve watched all season. Oakland was a very beatable team, who’s got an excellent running game, but an absolutely horrid defense. Darren McFadden is the NFL’s leading rusher, and with the way the Browns have struggled against the run on defense, you had to figure that if they could contain McFadden, they’d have an excellent shot at winning the game. For once, Cleveland’s offense shouldn’t have had any problems whatsoever moving the ball against a Raiders defense that has ranked in the bottom half of the NFL in total defense all year. Oakland was the worst defense the Browns had faced since week two when they defeated the Indianapolis Colts, 27-19. In that game, Colt McCoy threw for 211 yards and one touchdown and Peyton Hillis rushed for 94 yards and added two touchdowns of his own, as the Browns put-up 303 total yards on offense for their first victory of the season. If Oakland’s defense was just as bad, or worse, as the Colts’, why wasn’t the Browns offense able to move the ball consistently against them? The answer is simple – Head Coach Pat Shurmur’s play-calling. Against the Colts, Shurmur, who acts as the team’s offensive coordinator as well, called his most balanced game on offense of the year. The Browns got-off 64 plays against Indy, with 32 running plays and 32 passing plays called by Shurmur. After week two Shurmur, for some reason, thought it’d be a good idea to abandon the run game and allow Colt McCoy to throw the ball 40+ times a game. Um, Pat? Not a good idea. Including week one, the Browns are now 0-3 when McCoy throws the ball more than 40 times. The Indianapolis game was also the last time Hillis reached the end zone, as he did so twice in what’s considered the Browns most impressive victory of the season. Only the front office and Hillis himself really know what’s going on with his contract situation. Fans and the media can speculate all they want to, but when it comes right down to it, no one knows anything except a few select individuals. Whatever is going on though, needs to be resolved as quickly as possible in one way or another. 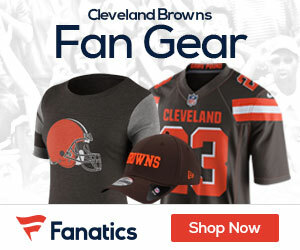 Hillis has stated, more than once, that his pending contract situation with the Browns has been a distraction for him this season. I understand both sides; Hillis wants a guaranteed contract length, and the front office is hesitant to give it to him based off of one outstanding year. The way Hillis has handled the whole situation isn’t doing himself any favors, and he’s probably digging himself a deeper hole than he can climb out of with some of his antics so far. No one player should come before the team, and as much as I’d love to see Hillis remain in Cleveland, all this drama is starting to get old. The drama is sure to continue, as Hillis left Sunday’s game against Oakland with a tweaked hamstring. I’m sure we’ll hear the rumors about how Hillis wasn’t happy with his workload, or the play-calling, or whatever, and excused himself from the game with a quote-unquote tweaked hamstring. Whether it’s true or not, we’ll never know, and it’s going to continue to affect, both, Hillis and the team. This isn’t going to go away until either A) Hillis demands a trade, B) the front office agrees to said trade, or C) a contract extension is signed by Hillis. If Mike Holmgren and Tom Heckert don’t feel Hillis is a fit for their offense moving forward, and Shurmur is going to continue to keep him on the sidelines in favor of Hardesty, they should really look at trading him before his trade value falls dramatically. If they’re not going to trade him, they need to play him. 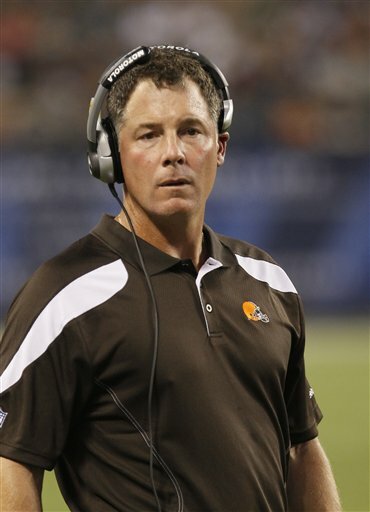 Maybe he’s not the best fit for Shurmur’s offense in the future, but he’s the best fit for the Browns offense for, at a minimum, this season. If a contract extension can’t be agreed upon right now, and a trade isn’t an option, they need to just focus on getting through this season with the best record they possibly can, and put a hold on all contract negotiations until the end of the season. With so many questions surrounding the Browns’ wide receivers, it boggles my mind that Shurmur insist that McCoy throw the ball as often as he does. It’s as if he thinks that McCoy, somehow, suddenly acquired Tom Brady or Peyton Manning’s knack for the passing game. There’s talent on the offensive side of the ball for the Browns, but they still don’t have all the pieces in place that they need for the type of offense they want to run – especially at receiver. Instead of using what his current players do well in his favor, Shurmur appears to be forcing them into becoming the players he feels he needs for a successful offense, and that’s just not going to work. McCoy has struggled so far this season, though he’s occasionally showed glimpses of superior ability in certain situations. Because of the lockout this off-season, we knew that certain aspects of the game were going to be a mess, especially on the offensive side of the ball. The Browns entered the season with a new coach, new players and a new offensive scheme and because of that, we knew the offense would struggle until they gained some experience. That hasn’t been the case. In fact, it seems as if the offense has regressed, instead of getting better each week. In all reality, the offense played somewhat decent in the first two games. McCoy looked a little rusty, but he done pretty well managing the game. Peyton Hillis was more involved early on, and the Browns made attempts to get the ball into the hands of what few playmakers they actually had on offense, including tight end Evan Moore. During the off-season we heard about how the McCoy-to-Moore hook-up was going to be a huge weapon for the Browns offense. They carried their off-season connection over to the preseason, where they proved to fans that the coaching staff wasn’t just blowing smoke up our rears. At the start of the season, it appeared that Moore wasn’t going to be McCoy’s go-to guy in the passing game, while he waited for the rest of Cleveland’s skill position players to get it together. Like Hillis, Moore hasn’t reached the end zone since their game against the Colts in week two, but that’s not his fault. He can only score when given the chance and so far Shurmur’s not giving Moore enough opportunities to make plays. In the first two games of the season Moore was targeted seven times on offense, mostly in the red zone. Moore made the most of those targets, particularly in the red zone, catching a touchdown pass in each game. It took Moore until the game against Oakland to get to seven targets again, and that was over a span of three games. I don’t understand why Shurmur doesn’t see Moore for the weapon that he really is. Moore is a match-up nightmare for opposing defenses. At 6’6, he’s taller than anyone that tries to defend him, and is going to win the jump-ball battle more often than not. He’s got good speed for a big fella, making him an effective weapon when he’s split-out wide, or closer to the line of scrimmage in the slot. Simply put, Moore is a hell of an athlete that is more than capable of producing for Shurmur’s offense, but only if given the opportunity. All Shurmur has to do is call his number, and hope McCoy can at least get it to within Moore’s reach. If he does, it’s almost guaranteed Moore is going to come down with the catch. So how does Shurmur fix the offensive woes? Well he gets paid a lot of money to make those decisions, not I. I do, however, have a few ideas that I think could improve the offense. First of all, the offense must run through Peyton Hillis. If he’s going to miss any amount of time with his hamstring, then fine, we go with Montario Hardesty and Armond Smith. Whoever lines-up in the backfield behind Colt McCoy, needs to get more touches than what they’re getting. At the start of the season, and after Heckert and Holmgren failed to sign any playmakers on offense, it was assumed that Shurmur was going to rely heavily on the running game. Steven Jackson was an extremely productive back in Shurmur’s offense last season in St. Louis. The offense revolved around Sam Bradford, but Shurmur seemed to be extremely creative in getting his best playmaker, Jackson, the ball. I’m not saying the Browns have a back on their roster that has the same skill-set as Jackson, but they have backs that are more than capable of being productive in Shurmur’s offense. Hillis, at one point this season at least, was the 6th leading receiver from the tailback position in the NFL dating back to last year. Hardesty can run the ball, but probably doesn’t need to be relied on in the passing game. We’ve not seen much from Armond Smith this season, other than his run on 4th & 1 against the Titans that was stopped short. The point is, and I know I’m repeating myself, but the run game needs to the vocal point on offense, because obviously throwing the ball as much as they are simply isn’t working. Second of all, Shurmur has been a coach of some sort in the NFL for 12 years. Seven of those years, he was a part of a playoff team (five division champs) and appeared in one Super Bowl. In other words, he’s had success at this level. My question is, with all that experience on offense, where’s the creativeness? 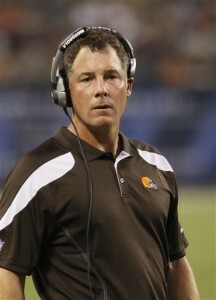 The Browns aren’t as talented on offense as Shurmur would like to be, we all know that. Still, there is some talent there. Some of the talent is established talent, like Josh Cribbs, Ben Watson, Mohammed Massaquoi, and (in my opinion) the most talented and athletic player on the roster, Evan Moore. There’s guys that would be considered unproven talents, but they’re talented nonetheless. Players like Greg Little, Owen Marecic and Jordan Norwood, who showed glimpses of excellence in the preseason for the Browns. There’s talent there, it’s just a matter of Shurmur calling the plays that will get the ball into these guys’ hands. Joshua Cribbs has played much of this season dinged-up for one reason or another, but Shurmur still finds ways to get him the ball. Norwood and Little have the potential to take a screen-pass all the way to the end zone. Instead of Cribbs getting those screen passes, why not relieve him every once in a while, and get the ball in Norwood and Little’s hands in those situations? Evan Moore and Ben Watson on the field together could be potentially dangerous for opposing defenses. Watson led the team in receiving last season and is always a concern for the defense. Add Moore’s playmaking ability to that equation, and it’s a bigger concern. Although Moore is listed as a tight end, he’s a smart athlete who can make plays no matter where you line him up on offense. He could just as easily catch a pass lined-up at wide receiver, as he could lined-up at tight end. And last but not least, considering all things we thought would cause the offense to struggle – i.e. the lockout, new offense, new coach, etc. – maybe it wouldn’t be a bad idea to “dumb-down” the offense for McCoy. McCoy has admitted before that he puts a lot of pressure on himself, and often times during the game, his play reflects that. Shurmur isn’t doing him any favors by calling 40-50 pass plays a game. When he balances the running game with the passing game, McCoy looks much more confident and doesn’t seem to play scared. Considering Shurmur doesn’t call many pass-plays that require the receiver to run more than 10 yards on a route, being creative while simplifying the offense could only make McCoy a better QB in the NFL. You see teams do it all the time with rookie quarterbacks. Considering he’s only in his second year and first as the team’s unquestioned starter at QB, McCoy is essentially a rookie. Marvin Lewis hasn’t put too much on Andy Dalton’s plate, and as a result, he’s not afraid to make a mistake during the game, and has to be considered for the NFL’s Rookie of the Year Award at this point in the season. You think Cam Newton is reading his playbook at a 10-year veteran level? Hell no. Ron Rivera, who’s probably one of the worst head coaches in the NFL, has made sure that his rookie QB knows what he’s doing out there by giving him a little more of the playbook each week instead of all at once. I understand McCoy is a competitor, and a proven winner, but I think that he, much like his head coach, has too much on his plate right now and should really consider getting back to the basics on offense – simple pass routes, check-downs, etc. If Shurmur can find a way to call creative plays, it is going to really help McCoy, in every aspect of his game. He’ll build confidence on the short pass completions. When Little, Moore, Massaquoi, or whoever, makes a big play to help move the ball, that will also help build McCoy’s confidence. There’s ways to simplify the offense for McCoy, which is something I think he’d really benefit from, while still being creative. Cleveland once again lost the time of possession battle against Oakland, and it’s because the offense wasn’t able to consistently put any long drives together. Mixing in the run with the pass every once in a while will take care of that, not relying on McCoy to complete three-straight passes every drive. It’s obvious the Browns have a long way to go before they’re a competing for division titles and playoff spots, but they’re certainly heading in the right direction. I think the most important thing for the Browns offense right now is to get back to the basics, and playing fundamentally sound football. The west coast offense, though simple in appearance, can be an extremely complicated system. Right now, I think it’s getting the best of McCoy. As a result, his confidence is shot. Hell, he took a hit on Sunday from a Raiders’ defender, that could’ve been avoided if he had “felt” the pressure. It’s plays like that, that lead me to believe McCoy has taken on too much in his second year with the Browns. I don’t know what to think anymore. McCoy misses an awful lot of the time — throwing way over or into heavy coverage. Hillis is like a non-entity, so this positive is now a negative. Hardesty is a huge gamble on passing — dropping way too many and having an inability to block. Robi is not going to be here next year — especially if they get another decent receiver. Moore should be seeing the ball much more than he is — for many obvious reasons. We are too deep in the season for this to be early season jitters or just getting through the shakedown cruise. The OL is not looking very good — and it was supposed to be this team’s strength. Defense gives up far too many big plays and special teams has become a nightmare this season. I gotta be honest — it was easy for me to turn this game off at the half and do something else — which in this case was watching a movie I had already seen a couple of times. Why? Because I had watched what the Browns were doing more than a couple of hundred times already, as well. Unfortunately, reaching this point so early in the season has become commonplace ’round these parts . . . so I do not feel the sting anymore . . .